A friendly pub with sunny conservatory, wood block floor, exposed brickwork, old Victorian stove and roughly-hewn wooden beam in the middle of the bar that looks like it is holding the ceiling up. The pub is a free house and serves many different beers - local and otherwise - and is rumoured to have the widest bar in Sussex. JB cider [made in Maplehurst] is also sold at the pub. Be warned - it's strong stuff! 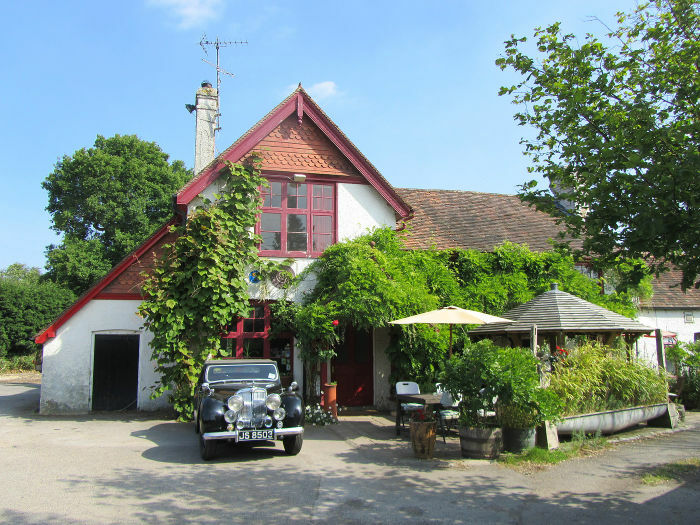 The White Horse has been the North Sussex CAMRA Pub of the Year on several occasions. Image: From the White Horse website. Many thanks for use of the image. The Downs Link trail is great for walking, cycling and horse riding. It's a few miles south of the pub.